Minister Mary Mitchell O’Connor T.D., Minister of State at the Department of Education and Skills, with special responsibility for Higher Education today (20th August 2018) officially opened the 10th European Conference on Gender Equality in Higher Education. This is the first occasion that this major biennial international conference has been held in Ireland. Since 1998 this conference has been hosted by various cities throughout Europe. The conferences bring together academics, policy makers, gender equality practitioners and administrators from Ireland’s universities, institutes of technology and universities Europe-wide. 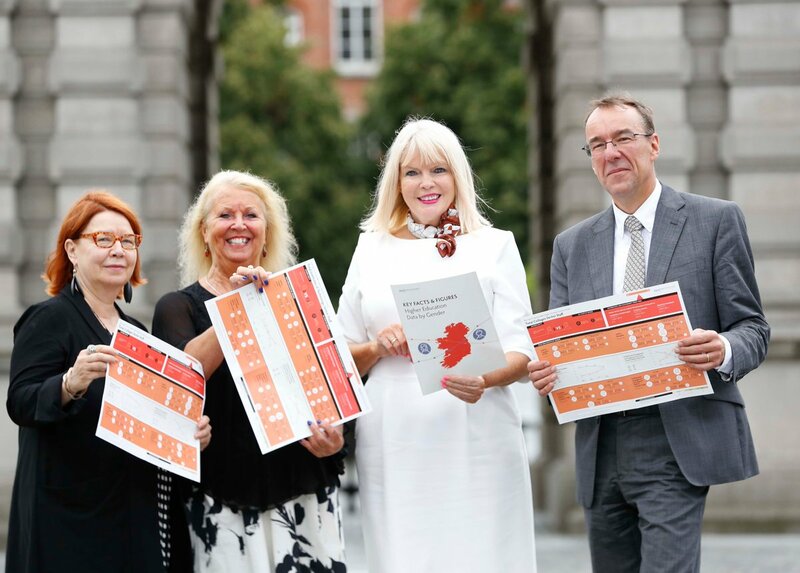 Minister Mitchell O’Connor who has established a taskforce on Gender Equality within our Higher Education Institutions is determined that Ireland’s female academics will have all the same possibilities of career advancement as their male counterparts. The Minister stated “The hosting of this conference places an international focus on what we in Ireland are doing in our higher education sector to effect meaningful and sustainable change in achieving gender equality. We are delighted to have the opportunity to learn from the experiences of colleagues in other countries to assist us in addressing the challenges that we all face. On the day when the CAO offers are made it is imperative that we acknowledge that girls outperform boys in the vast majority of Leaving Certificate subjects, however similar to our European counterparts, Ireland also demonstrates a leaky pipeline when it comes to women progressing within academia. This conference is a timely reminder of the importance of achieving a long lasting solution to gender equality across the board”. Up to 400 delegates will attend the three days of the conference. In addition to the plenary discussions by leading experts in the field, delegates will also attend parallel discussions on such topics as staff mentoring programmes, gender in teaching and learning, bias-free professorial appointments and improving research and innovation through gender diversity. The Minister further stated, “In November 2017 I established the Gender Equality Taskforce to deliver a 3 year Action Plan to improve gender equality in higher education. I will be publishing their report next month. This Action Plan will provide a much needed impetus to accelerate gender equality in our higher education sector.